This started out as a discussion, turned into tech development, and eventually became a very pretty and functional application for rolling dice! Dynamic Dice makes use of Bullet physics to properly simulate up to six simultaneous dice, all of which you can customize and tweak to your heart's content. It is primarily designed as an application, but it can be run as a live wallpaper as well and add some action to your home screen. We play D&D regularly, and there's frequently a need to switch up the current set of dice you're using. 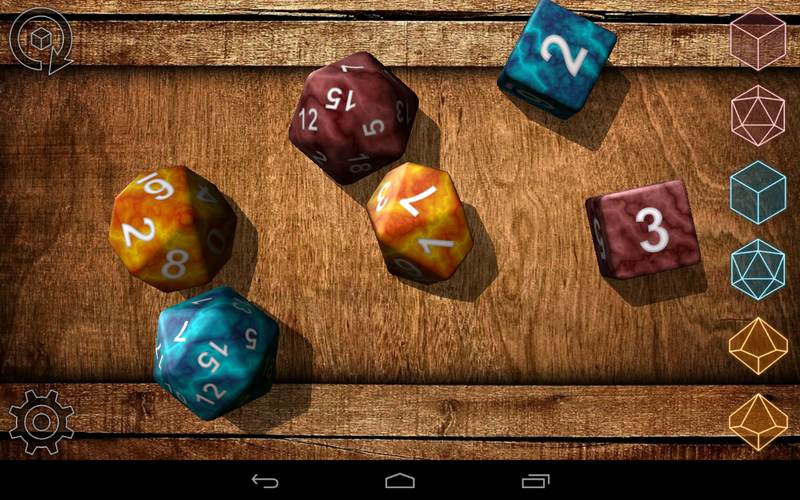 The interface is specifically designed to allow quick swapping of dice, so it's easy to get what you need on-hand. You can simply push a button for a quick re-roll, or take things into your own hands by using your device's accelerometer to control things. 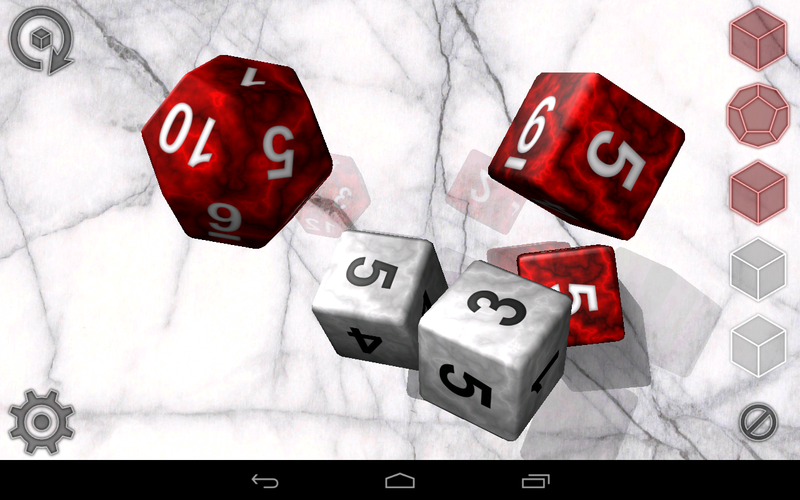 The environmental settings even allow modifying the gravity of the simulation, size of the dice, and more. There's a few similar products on the market right now, but I'm confident that what we have here is the best looking and quickest to use, and I'm hoping you folks agree.